This professional M-class dust extractor has a high performance motor and turbine, which creates 250 mbar vacuum and 4500 l/min air flow. The AutoStart function increases the lifetime of the motor and reduces noise. Flat top with space for storage and large wheels for better maneuverability. Auto-filter cleaning for convenience and consistent performance, as well as an air-flow sensor which indicates when air flow falls below optimal. Hose and cable storage for more comfortable transportation. A fleece dust bag is also included. The dust extractor should always be used with Mirka antistatic hoses (not included). 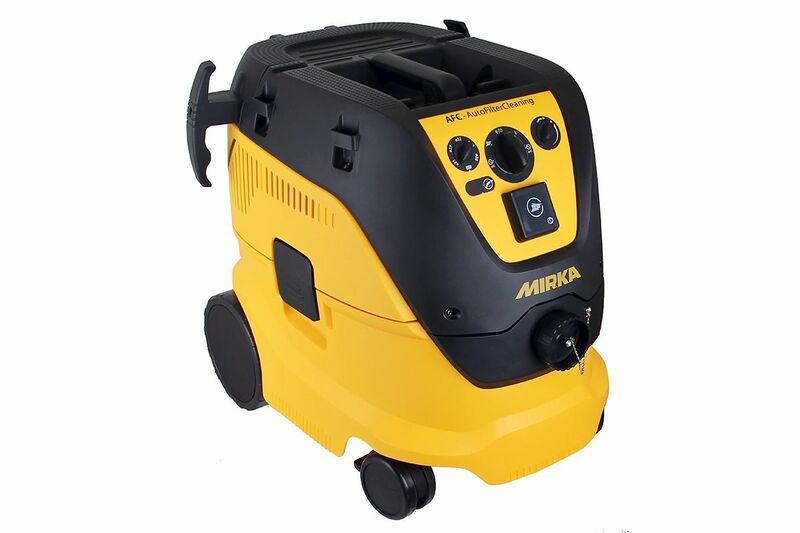 Mirka Dust Extractors are suitable for both dry and wet applications (remove the dust bag before wet use and clean filter before and after wet use).